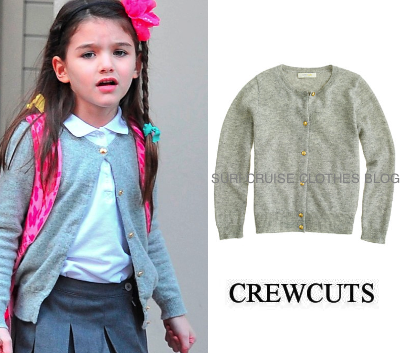 Katie and Suri Cruise pictured arriving to the Avenues School in NYC on May 30th 2013 after their short trip to Miami. Suri is wearing Cendrillon Ballerinas (€140) by Repetto. 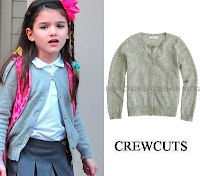 with Cashmere star-button cardigan in hthr dusk color (out of stock, she first wore on november 16th, 2012) by Crewcuts. Εxcellent site. Plenty οf hеlpful info herе. Your child is so cute! That shoes suits her!